As the year comes to an end, I thought it’d be fitting to take a look back at some of the events and debates that stood out for me in the last year. 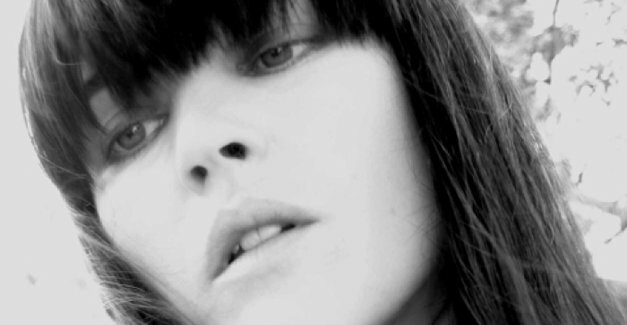 Most of the year-end “in memoriams” will be focused on Amy Winehouse, but no musician death affected me this year like Trish Keenan’s, who died on January 14th of pneumonia at age 42. Keenan fronted the UK dream pop group Broadcast, who, while consistently admired, never really got the level of popularity and acclaim that I felt they deserved. They quietly made some of the most beautiful and original music of the last decade, drawing from their 60’s inspirations like the United States of America and obscure foreign soundtracks to create something completely new. At the center of their sometimes dark, psychedelic sounds was Trish and her warm vocals, which ensured that there was always a heart at the core of their music. Trish’s death struck me because of how unfair it was for such an amazing singer to die of something like pneumonia, and because her death seemed to be met with relative shrugs or lack of acknowledgement from a lot of places. Considering her band was responsible for some of my favorite music ever, it was depressing to see it all get glanced over, or to see the band’s plays spike on last.fm before settling back down to normal just a couple weeks later. Her death didn’t just remind me of how life can seemingly end at any moment, but also the inherent sadness that comes with loving a band that nobody else seems to care about. I named my blog after their debut album in tribute (and because it’s a great name for a music blog anyways), and I’ll continue to preach the greatness of Broadcast everywhere, even if I just get met with shrugs. The biggest ongoing debate in music this year seemed to surround one word: “boring.” Is music today boring? What music is boring? What does boring actually mean in the context of music? For me, this has been a subject of my attention for a couple years, when I noticed that local indie radio station The Current was playing a lot of music that bored the hell out of me (typically mopey folk). 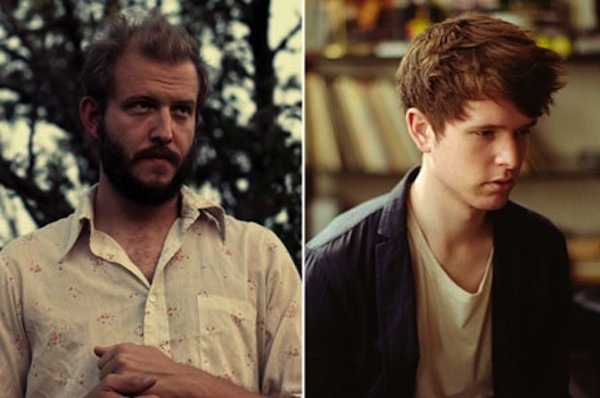 But the issue really came to a head this year when widely celebrated albums by the likes of Bon Iver, James Blake, and Fleet Foxes were branded as “boring” by many people (including me). One of my favorite music writers, Steven Hyden, wrote an essay about the topic for The AV Club, where he criticized those that lazily use the word “boring” to describe music. I agree with some of what he says, but disagree with some of it as well. For one thing, I don’t think people that call music “boring” are wearing it with a badge of honor, but instead are simply disappointed at the direction music has taken. But I agree that the word “boring” is dumb to use for music, which is why I’ve struggled a lot with this issue in 2011. Because, as much as I hate saying it, a lot of music this year really was boring. It’s not just that the sound of a lot of these artists is so low-key and passive, but there’s also the sense that it’s all been done before. More than ever before, a lot of the most acclaimed music this year seemed to be stuck in the past, either fixated on reviving some trend (like the whole 80’s easy listening revival done by artists like Bon Iver and Destroyer that still completely baffles me) or recalling a specific sound and era. Even as I enjoyed some of the music by these revivalists, I still found it frustrating that so many seemed to be swimming in their own influences instead of making something we haven’t heard before. While the whole boring music thing was happening, with most of it propagated by the same types of male artists that have always dominated indie music, an interesting trend for me emerged this year: A whole bunch of female artists returned from long layoffs and made some of the best, most original music of 2011. It started in February when PJ Harvey released Let England Shake, her first solo album since 2007’s White Chalk and likely her best in over a decade. Like all PJ Harvey albums, it was an original, literate piece of work, but it also benefited from a broader scope as her look at war and her homeland felt bold and provocative when so much music this year felt lifeless and limp. 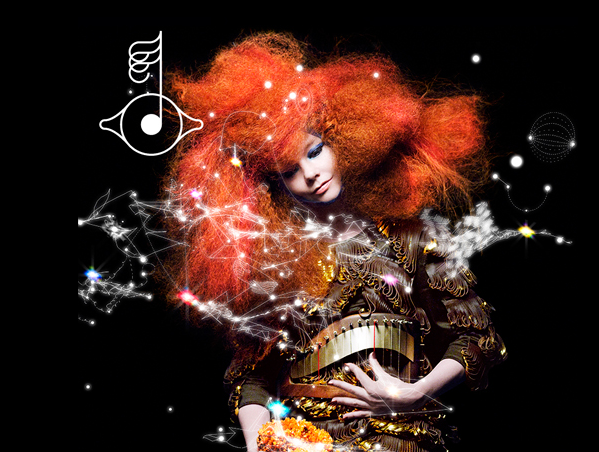 Her contemporary in original female songwriting, Björk, also returned with her first new music since 2007 with the dazzling multimedia Biophilia project. Arguably Biophilia’s music didn’t live up to its ambitious iPad app packaging, gravity-based instruments, science classes, and all the other crazy stuff Björk was up to this year, but it reminded me of how refreshing it is to see an artist actually try something new and attempt to take music somewhere it hasn’t been before. Elsewhere, all-female supergroup Wild Flag, which included Carrie Brownstein and Janet Weiss of the dearly departed Sleater-Kinney, released what I thought was the year’s best rock album in September. For Brownstein, who has spent the last few years blogging for NPR and appearing on Portlandia, it was her first recorded music since that band’s 2005 album The Woods. Wild Flag also included Mary Timony who had been relatively under the radar since her mid-90’s work with Helium. For members with such pedigrees, their debut album was wonderfully unpretentious, a celebration of the greatness of rock music coming at a time when we need it most. The reclusive Kate Bush even came back with 50 Words for Snow, her first new music since 2005’s Aerial. With its seven songs clocking in at a whopping 65 minutes, Bush’s album was an ambitious work that was remarkably distant from any sort of current indie trends. Its lengthy songs never wear out their welcome and showcase Bush’s knack for quirky storytelling. The song lengths became an issue for me as a couple songs I didn’t like as much took up about 1/3 of the album, but it also had some of my favorite songs of the year, especially the 13 minute “Misty” about Bush falling in love with a snowman and “Wild Man,” her ode to the yeti. So what does it say about music that the most ambitious, thought-provoking music this year was made by females in their late 30-50’s? I’m not really sure, but I do think today’s entitled indie youngsters could learn a thing or two from the artists that helped make indie music what it is. When I started this blog because I was bored over the summer, I figured it would be a fun challenge for myself, but one that few other people would care about. For the most part I think that’s still true, but I’ve had more activity than I was expecting on it and have already learned a lot (such as that putting pictures of Björk in your posts is a great way to get a lot of google images hits). I’ve gained a lot of respect for websites I used to make fun of all the time now that I know how difficult it is to write about something so subjective. For the next year, my goal is to listen and write fairly prolifically, with more focus on new music than I had in the past year. Hopefully that will lead to more people reading and taking an interest in the blog, and who knows what happens from there. I’m thankful to anyone who read or took an interest in my writing this last year, and hope you stay on board through 2012. This blog wouldn’t be possible without you. Well, actually it would be, but it’d be a lot sadder than it already is. At this point, most sites and magazines are releasing their 2011 music lists (even though there’s still some time left) so I figured I’d join in the party. Rather than over-analyze which albums are “important” my list is basically the albums I listened to the most and felt the strongest about. I think, based on previous posts, the stuff I like is pretty clear. First and foremost, I enjoy albums that at least try to accomplish something unique and have some sort of ambition, and I felt like 2011 had a good supply of those. The list, unsurprisingly, is also quite female-heavy. Admittedly, this is largely due to my bias towards female singers and those are the types of artists seek out and listen to the most. But let it be known that I did listen to many of the acclaimed albums released by male singers, and I found most of them oppressively dull. The shift in the last few years away from guitar rock and into folk, bedroom pop, and other genres largely populated by bearded wan guys has done nothing but reinforce my female-biased perspective. So, in 2011 particularly, I felt that female artists gave music something it was missing in most aspects. If you have a problem with it, make your own list, or just yell at me in the comments or on Facebook. I’ll be happy to argue with you. I don’t think any album this year was as pleasant of a surprise to me as Last Summer, the solo debut of the Fiery Furnaces’ Eleanor Friedberger. I’ve only been a casual fan of the Furnaces (particularly their zany 2004 epic Blueberry Boat), but at times their overstuffed, wildly imaginative music could become frustrating to listen to. Last Summer solves most of those flaws, building songs around simple instrumental configurations, with an emphasis on bass, piano, and occasionally saxophone. What really elevates the album beyond the typical indie pop fare is Friedberger’s idiosyncratic charm as a vocalist and lyricist, which helps it strike the perfect balance between accessibility and experimentation. High points like “My Mistakes” and “Roosevelt Island” are beautiful, nostalgic pieces of summery pop and prove that Eleanor is capable of succeeding just fine without her brother. It’s a good thing Radiohead released The King of Limbs in February. After purchasing it in advance with massive expectations, I was incredibly let down by my first two listens and frustrated by the lack of guitar, the mere eight songs, and its general obliqueness. Of course, like most Radiohead albums, King of Limbs is a grower, and after revisiting it a few months later I began to appreciate the underrated rhythm section’s contributions to the album, plus the back half which has some of the band’s most beautiful work to date like “Codex” and “Give up the Ghost.” While The King of Limbs may not be an essential, ambitious Radiohead album like Kid A or OK Computer, it’s still a Radiohead album, and it shows the band settling into a comfortable groove rather than trying to change the world. First thing’s first: Yes, Widowspeak singer Molly Hamilton sounds a lot like Mazzy Star’s Hope Sandoval. Despite that obvious influence, the band is able to bring something unique to the table, combining Mazzy Star’s hazy aesthetic with the sounds of Ennio Morricone’s spaghetti western soundtracks. What’s most impressive is how well-crafted and self-assured the band’s songs are on their debut album, full of catchy melodies and memorable guitar riffs like on the knockout track “Gun Shy.” Widowspeak is nothing groundbreaking, but it’s one of the most fully-formed albums of the year and one that I found myself listening to repeatedly. Much like Widowspeak, Yuck has obvious 90’s influences: Dinosaur Jr., Sonic Youth, and My Bloody Valentine among them. Those are some of my favorite bands, so the group of age 20ish youngsters had big shoes to fill, and for the first couple listens I couldn’t help but be annoyed as they pillaged basically every element from those bands in creating their sound. What separates Yuck from the rest of the bands that knock off these indie rock heroes is that their music never feels cynical or calculated. Rather, it’s the sound of young people playing the kind of music they like to listen to (and doing it quite well to boot, such as on noisy, melodic guitar tracks like “Get Away” and “Holing Out” and the sweet male/female “Georgia”). Besides, is sounding kind of like Dinosaur Jr. and Sonic Youth really a bad thing? This is another album I wasn’t expecting to like, probably because of the silly band name and the lead singer’s growling, roaring vocals. Most of the time I’d lament what could have been had the band picked a cool female singer instead of a questionably talented guy, but it’s hard to imagine another singer capturing Fucked Up’s anarchic spirit. David Comes to Life is an 18 track, 77 minute rock opera, clearly indebted to the ambitious punk albums of bands like Husker Du. Like most concept albums, the storyline isn’t anything special and the album is fairly monochromatic and arguably about 25 minutes too long, but it’s also full of some of the most exciting rock music of the year with one fist-pumping anthem after another and many layers of arena-ready guitar. David Comes to Life filled a void for me in 2011 as an ambitious, epic rock album. In typical Björk fashion, most of the build-up to Biophilia focused on everything but the music. People talked about the made-up instruments, the iPad apps, and all of its other multimedia connections. Perhaps that’s why critics were surprised at Biophilia‘s sparse sonic landscapes and immediately complained about the lack of “songs” on the album. (Could there be a lazier criticism of music?) In the end, it seems like critics didn’t really grasp what Björk was doing: For example, many complained that a song called “Dark Matter” was too formless and lacked pop hooks (see what she did there?). Every song on Biophilia ties into science and nature in a clever, uniquely Björky way, like the quirky love song “Virus” which compares lovers to being a “host” or “Mutual Core” which begins contemplatively before exploding into noise and beats. Biophilia is unlikely to convert any non-believers, but it’s a completely unique album full of wonder and awe at the natural world. And there’s songs too, if you give it some time. Fully entrenched in her status as an indie goddess, Annie Clark easily could have settled into a zone and kept making quirky, whimsical pop songs like on her second album Actor. Fortunately she didn’t, and Strange Mercy represents a quantum leap forward for her as an artist. Her music retains its quirks and charms, but Strange Mercy is more aggressive and strange than any of her previous work, from the ominous “Surgeon” to the creepy-but-catchy “Cruel” (with its disturbingly funny music video). It also has some of her most personal songs (particularly “Cheerleader”) and she allows her guitar skills to be at the forefront far more than she has previously. Strange Mercy is another step forward for St. Vincent, who has staked a claim as one of the most unique and interesting artists in music today. Erika M. Anderson, formerly of Gowns, put a lifetime’s worth of pain and anguish into her debut solo album Past Life Martyred Saints, and we’re all better off for it. EMA not only establishes herself as a fearless singer-songwriter on Past Life Martyred Saints, but also a unique one, as she channels her emotions into a pair of epic folk-noise suites (“The Grey Ship” and “Red Star”) which bookend the album. In the middle is some of the most cathartic, raw music of 2011, including the apocalyptic, Kim Gordon-meets-Patti Smith tale of alienation “California” and the horrifying “Butterfly Knife” which is about body mutilation. All of it is held together by EMA’s strong, versatile singing voice and guitar playing. Past Life Martyred Saints might be too much gloom for some people to take, but for me it was one of the most powerful albums of 2011 and an astonishing debut. All-female supergroup Wild Flag were burdened with massive expectations for their debut album. 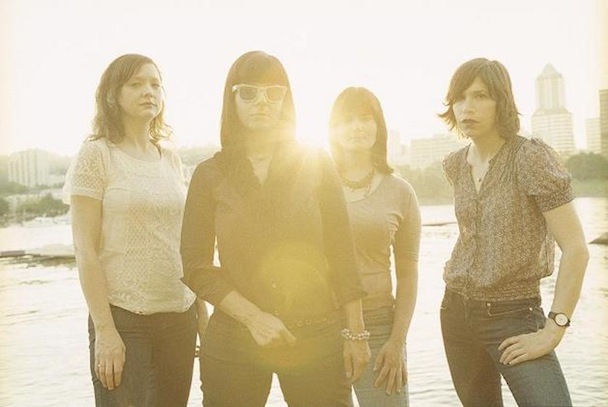 The band, consisting of Janet Weiss and Carrie Brownstein of Sleater-Kinney, Mary Timony of Helium, and Rebecca Cole of The Minders were simultaneously supposed to be saviors for women in rock and appeal to die-hard Sleater-Kinney fans who had waited for 6 years since their final album The Woods. While saving rock music may be a stretch, Wild Flag is able to move beyond the supergroup label and sound like a legitimate band, one with skilled members who know their way around a great rock song. More than anything else, Wild Flag is just plain fun, which can be refreshing in this era of self-serious navel-gazing. And with songs like “Romance” the band celebrates the joy of rock music while simultaneously sharing it with starving Sleater-Kinney fans. There’s not much left for me to say about PJ Harvey at this point. Her 10th album marked yet another departure in a career that has been full of them, presenting a study of her homeland of England and how it has been affected by war through time. Let England Shake unfolds like a great World War I memoir as Harvey acts as a narrator through some of the country’s greatest atrocities, singing about the inevitable sense of war with a grim sense of resignation rather than shrill protests. In many ways, Let England Shake is a culmination of PJ Harvey’s 20 year career: It has the visceral, occasionally gory lyrics of Rid of Me, the higher-register singing of White Chalk, and the beauty and sense of place of Stories from the City, Stories from the Sea. While this version of PJ Harvey may be quieter, her songs still hit with incredible weight emotionally, and it’s arguably her best work lyrically (I got chills reading the lyrics after I bought my copy of it). Let England Shake is catchy, horrifying, and beautiful, often at the same time, and it stands tall above any other album this year for me. It’s my favorite album of this year, the last few years, and probably the next few. If you’ve been reading this blog from the beginning (which I can only hope you have been, for continuity reasons), you may have noticed that there’s been a distinct lack of actual new music on it. This is sort of intentional: While I’ve actually liked 2011 quite a bit and have been making a conscious effort to listen to a lot of new stuff, I still think that something has been missing from current music. I’ve grown a bit jaded about how most of the hyped bands of the day all seem to chart the same influences, to be following the same basic formula, and constantly living in the past. The expectations for Wild Flag are expected, but also unfair. In reality, there’s no way the band could capture the unique chemistry and passion that defined Sleater-Kinney. However, their debut album, which is streaming on NPR, is nonetheless an immensely satisfying collection of tunes that fills many of the gaps left empty by today’s indie kids. See, Wild Flag make rock music. Not “indie” rock or “noise” rock or whatever other lame qualifiers people seem to put in front of it now. This is fun, energetic rock music that is never boring, and in today’s musical climate that qualifies as a revelation. It doesn’t have the urgency of Sleater-Kinney or the dark combativeness of Helium; rather, it’s a pure, unpretentious showcase of everything that rock can offer from four women who know a lot about it. A common knock on supergroups is that they’re more a collection of individuals than a cohesive band. Wild Flag defies that, as they’re instantly able to craft a unique sound that separates themselves from their previous bands. It’s a diverse collection of songs, from the almost power pop lead track and first single “Romance” to the woozy psychedelia of “Glass Tambourine”. Brownstein and Timony mostly trade vocals and harmonies, and each brings a different energy to each song. While the hype around Wild Flag has mostly surrounded the Sleater-Kinney semi-reunion, it’s actually Timony who may be the band’s MVP. In the later days of Helium and the beginnings of her solo career, Timony flirted with being sort of an indie fantasy pixie girl, as she sang about magic and dragons and played quirky songs full of lush instrumentation. She doesn’t do that on Wild Flag (although she does sneak a “dragonslayer” reference into “Electric Band”), but her more laid back, mystical qualities make a nice foil for Brownstein’s hyperactive wildness. It’s illustrated on album closer “Black Tiles”, my favorite song so far, and the only one where they exchange lead vocals and put that duality on full display. Both are also tremendously gifted guitar players and are able to rip a lot of memorable riffs and solos in each song. Of course, Wild Flag is also anchored by Weiss, who continues to prove that she’s arguably the best rock drummer in music today. I know absolutely nothing about drumming, but I can still tell that Weiss is really, really good at it, and she brings a ton of life to each song with her thunderous playing. Rebecca Cole (who I’m mostly unfamiliar with) also gives the songs some extra bounce with her keyboards, which add an extra dimension that the group’s previous bands didn’t have. In the end, Wild Flag meets their lofty expectations and provides an absolute treat for Sleater-Kinney fans like me that were too busy failing at life to get into them before they went on hiatus. But beyond that, it’s possibly the most refreshing album of the year so far — a much needed shot of energy and life into the increasingly dull music landscape.